Looking for ways to look after your garage door in Arlington Texas? Maintenance helps to prevent problems from developing, and regular inspections let you know quickly when something is wrong. There are lots of small jobs that will take only a short amount of time that add up to a good preventative maintenance strategy. Here, we tell you all about these, so that you can take good care of your garage door in Arlington Texas. 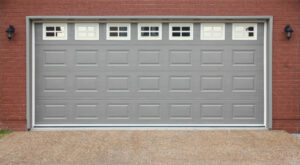 The first step in maintaining your garage door is to look and listen for problems. Are there any visible blockages in the rails? Rust color on the springs? Does the mechanism jerk the door into place, and can you can hear a grinding noise when it moves? Another thing to look out for is whether the door is being pulled equally on both sides. If one side has too much resistance, the door may be pulled at an angle, which can increase wear. Catching problems early on can make them easier to solve. Also known as weatherstripping, these seals ensure the snug coverage of your garage by blocking the gaps between the metal door and the ground. When these wear down, they can let wind and rain through the gap and into your garage. Replacing them is an easy job, and you can buy the material yourself from any decent DIY store. Just make sure that there aren’t any gaps once you’ve finished. You should refit the weatherstripping if there are. This is because, in winter, water can get into gaps and freeze. This can pin the door to the ground, which obviously isn’t great! Save yourself a cold morning defrosting the garage and have another go if it’s not spot on. If your garage is attached to your home, good weatherstripping will also help to save you money on your energy bills. All the moving parts in your garage door need to be able to move with as little resistance as possible. This means that they need regular lubrication to reduce friction. Reducing friction doesn’t only make things work smoothly. It reduces the amount of wear and tear that regular use of the door causes to its mechanisms. Don’t forget to lubricate the springs overhead – these are quite often forgotten when homeowners do this job. But don’t worry – it’s a very quick job. 4. Are The Tracks Blocked? If after following our first tip, you’ve noticed blockages in the tracks, act fast. A blockage might be something with the potential to grind down on the metal and cause damage over time. More often than not, it’s just gunk which can be cleaned out fairly easily, even if it’s not the most pleasant job. It needs to be done though, as eventually that gunk can harden and become much harder to clean. A build-up of grease and dirt can also make the door hard to close. Don’t forget the door itself as well as the mechanism which opens it. Small dents in metal doors can be solved with hot water and a plunger. Larger dents, or damage to the paint, might let water through the protective layers to the metal itself. If this happens, you need to reseal that immediately before the weather causes rust. With wooden doors, it’s equally important that no water gets through to the wood itself. Oiling the wood as necessary helps to prevent this. If water does get into the grain of the wood, temperature differences can cause it to warp, which might mean the door becomes difficult, or even impossible, to shut. 6. Are The Springs Evenly Balanced? If you’ve seen that one side of the door is being pulled with more force than the other, the springs may need to be readjusted. If the imbalance in spring tension is serious, the angle will become worse over time and this can cause the entire door to become physically jammed. Fixing this can be a fiddly, and potentially dangerous job that we recommend you leave to someone professional with the right equipment. 7. Are the Cables in Good Condition? Do not fiddle with your garage’s cables. They are kept incredibly taut, amounting to hundreds of pounds of pressure. But do inspect them for damage. If there’s wear there, you should look into hiring a pro to come fix your garage door in Arlington Texas. Don’t try to fix it yourself. If the door is suddenly released it can slam with an incredible amount of force, causing serious damage to property, injury, or even death. So do keep an eye out for wear and fraying, but always call for help if things don’t look right. 8. What Are Your Rollers Like? Rollers are the little ‘wheels’ which run along the tracks of your garage door. These are made using ball bearings to turn opening and closing the door into a smooth operation. If the outer rim, or the bearings inside, get damaged, this can increase friction. When this happens, you might notice judders and jerks, and hear a grinding noise as the door opens or closes. Rollers need replacing every five to seven years, on average, depending on how much the door is used. We hope that this guide will help you to keep your door in good condition for many years to come. However, the time will eventually come when it needs a bit of professional care and attention. If you’ve checked out your garage door and noticed a serious problem – especially one that concerns the cabling – you should definitely call in a pro. We’re experts. Can we help you fix your garage door in Arlington Texas? Contact us for an appointment, or to ask us any questions about your garage maintenance. We’ll be pleased to help.